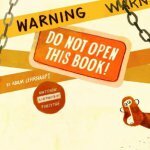 Adam Lehrhaupt's many picture books for kids include Wordplay, This Is a Good Story, Chicken in Space, and Warning: Do Not Open This Book. He lives in the Philadelphia area. 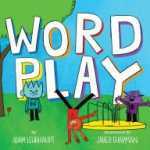 Q: How did you come up with the idea for Wordplay? A: I first came up with the idea at an Eastern PA SCBWI (Society of Children’s Book Writer and Illustrators) event. They hold an annual writing retreat at the beginning of spring every year. That’s where the idea started. Just a simple exchange. Over the next three years I revised the manuscript over and over, 53 times in all, until it became what it is today. A: When I was growing up, we had this awesome series on morning TV called Schoolhouse Rock. I loved it. Still do. Most importantly, this series was the beginning of my love of words. Finding out that they can be fun, exciting, more than just text. I tried to capture that same sense in Wordplay. 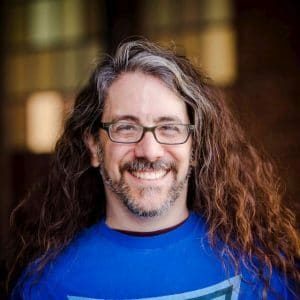 So, what do I hope kids take from the book? A love of words. Of what they can do. And what you can do with them. Q: What do you think Jared Chapman's illustrations add to the book? A: Everything! His artwork is just amazing! Verb’s pigtails are pivotal to our understanding of her character. Noun’s forms help us the understand him. And the bee…so menacing, but not frightening. Jared did an amazing job with it all! I could not be more happy. Q: What age group do you think would especially enjoy Wordplay? 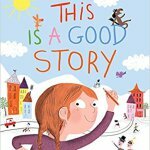 A: I wanted it to be a book kids and adults could enjoy together. And I think I’ve succeeded in that. There’s plenty for an 8 an under age group, but it has content that adults will find humorous. And, I’ve seen it used in ESL (English as a second language) classes of all ages. A: I’m currently finishing up the sixth book in my Chicken series. 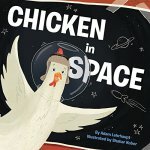 It started with Chicken in Space and continues with Chicken in Mittens this October. I’m also working on a few new projects, one of which is an homage to one of my favorite authors. It’s been fun to try to adapt adult fiction to a picture book setting. A: Starting at the end of October, I’m going to start learning to draw. I’ll be posting, tweeting, instabooking, all that stuff. You’ll get a live look at my journey from someone who can’t draw, to someone who, hopefully, can. And there’ll be tips and tricks and exercises that you, or your young artist, can incorporate into your own routines. Keep your eyes on my website, and social media’s for more info coming soon.